Some time later, after Nephi and his brothers had returned from retrieving the brass plates from Laban, Lehi and his family gave "thanks unto the Lord their God; and they did offer sacrifice and burnt offerings unto him” for their safe return (1 Nephi 7:22). Lehi offering sacrifices outside the confines of the Jerusalem temple seems to be in violation of a commandment given in Deuteronomy 12, which has been interpreted by some as stipulating that sacrifices are only to be offered at the temple in Jerusalem (cf. Deuteronomy 12: 5–6, 10–11, 13–14). If this is so, then the Book of Mormon would appear to contradict the biblical record, which might call into question the authenticity of Lehi and his family as being strict in keeping the Law of Moses. Latter-day Saint scholar S. Kent Brown has also explored the nature of Lehi’s sacrifices and concluded that Lehi offered both “peace offerings” for the family’s safety and “burnt offerings” for the family’s sins. Concerning the “peace offering,” Brown explained that “in all of its forms this offering was an occasion for rejoicing, a happy state that Nephi highlights for us when recounting the mood of Lehi’s sacrifice after the sons returned with the brass plates: ‘Their joy was full’" (1 Nephi 5:7). It appears that the Book of Mormon actually responds well to the nuances of the ancient Israelite sacrificial ordinances, suggesting that, instead of contradicting the biblical record, the Nephite record actually harmonizes quite well with it. Now it becomes clear why Lehi would offer sacrifices as he left the land of Jerusalem. From the research provided by Professor Seely, it would appear that Lehi understood the book of Deuteronomy to allow sacrifices, especially thanksgiving sacrifices, at various locations. Moreover, the fact that Lehi was three days away from Jerusalem may have placed him, in any event, beyond the regulated sphere of the Temple in Jerusalem, as evidence from the Dead Sea Scrolls arguably confirms. Thus, Lehi set an important example for his family in living the law promptly and conscientiously. By offering sacrifices, Lehi and his family were fulfilling not only the Law of Moses, but also a duty that comes from God’s law of gratitude (Psalm 100; D&C 46:32). In some cases, the law of giving thanks to God may override technical rules of sacrificial performances. That Nephi twice made special mention of his father’s sacrifices, even in spite of his perilous and uncertain circumstances, would indicate that both of them were acutely aware of the importance of showing thanks and gratitude to God for his blessings. All this shows that for Nephi and Lehi, the law of sacrifice was made for man, and not man for the law of sacrifice (cf. Mark 2:27). For these many reasons, Lehi would not and did not fail to make sacrifices when he arrived safely at his first camp south of Jerusalem. David Rolph Seely, “Lehi’s Altar and Sacrifice in the Wilderness,” Journal of Book of Mormon Studies 10/1 (2001): 62–69, 80. S. Kent Brown, “What Were Those Sacrifices Offered by Lehi?” in From Jerusalem to Zarahemla: Literary and Historical Studies of the Book of Mormon (Provo, UT: Religious Studies Center, Brigham Young University, 1998), 1–8. 2. David Rolph Seely, “Lehi’s Altar and Sacrifice in the Wilderness,” Journal of Book of Mormon Studies 10, no. 1 (2001): 62–69, 80. 3. Seely, “Lehi’s Altar and Sacrifice in the Wilderness,” 66; On temples and cult sites outside of Jerusalem, see generally Philip J. King and Lawrence E. Stager, Life in Biblical Israel (Louisville, Kentucky: Westminster John Knox Press, 2001), 330–340. 4. Seely, “Lehi’s Altar and Sacrifice in the Wilderness,” 67–68. 5. Seely, “Lehi’s Altar and Sacrifice in the Wilderness,” 68. 6. 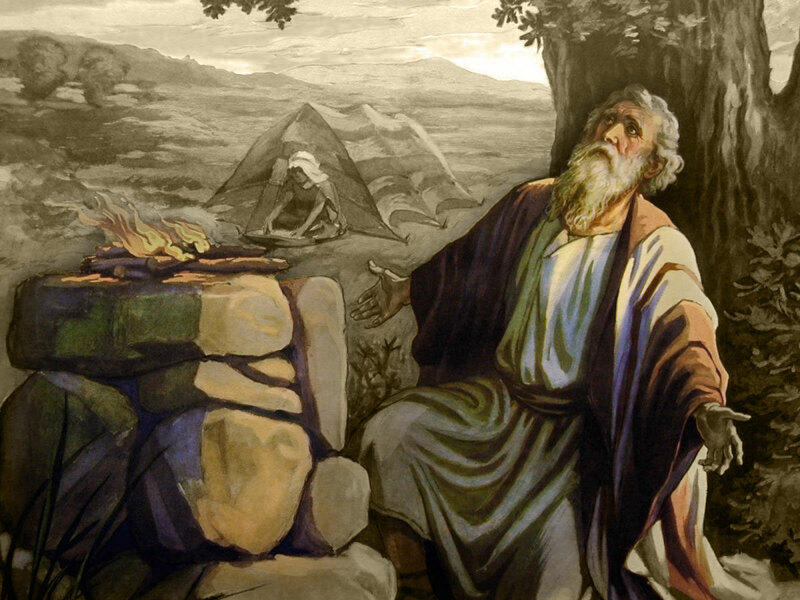 The relevant passage from 11QT (11Q19 52:13–15) specifically reads, “You shall not slaughter a clean ox or sheep or goat in all your towns, near to my temple (within) a distance of a three-days’ journey; nay, but inside my temple you shall slaughter it, making it a burnt offering or a peace offering.” Donald W. Parry and Emanuel Tov, The Dead Sea Scrolls Reader: Volume I (Leiden/Boston: Brill, 2013), 689—99. 7. Seely, “Lehi’s Altar and Sacrifice in the Wilderness,” 69. 8. S. Kent Brown, “What Were Those Sacrifices Offered by Lehi?” in From Jerusalem to Zarahemla: Literary and Historical Studies of the Book of Mormon (Provo, UT: Religious Studies Center, Brigham Young University, 1998), 2. 9. Brown, “What Were Those Sacrifices Offered by Lehi?” 6.